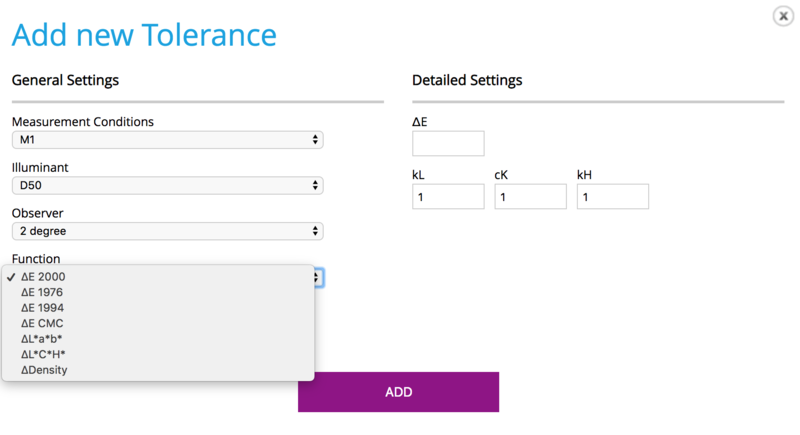 ChromaChecker Color Inspector allows the user to configure different color tolerances for different colors within the same library or palette. This is extremely useful for colors that are of secondary importance and are known to be out of the gamut of typical printing devices that aren't using specific spot color inks. Primary brand colors can be set with a 2 or 3 delta E tolerance, but the secondary brand colors can be set to have a 5 or 6 delta E of tolerance. 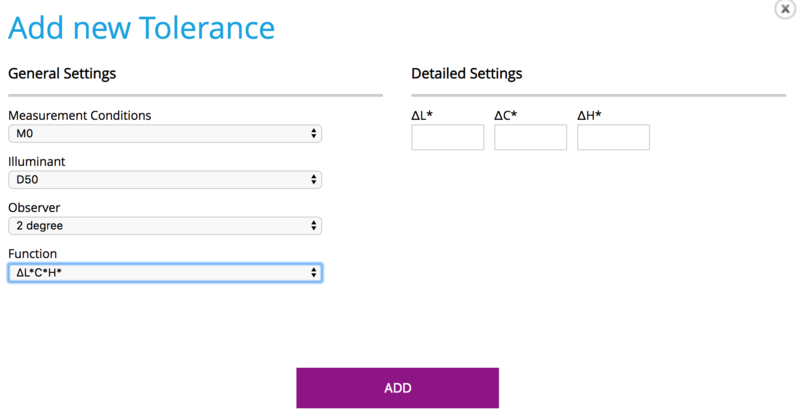 Choose the specific color in the given library and click "Edit Sample," then under Tolerance select: "Add New"
This capability also allows different tolerances for different M condition libraries and even different delta E equations for different colors.